021Disrupt: First step towards building a Silicon Gali in Pakistan? About a year and a half ago, Anusha Fatima decided to make a business out of environmental sustainability. Together with two other teammates, she created Trashit, a company that seeks to collect organic waste, process it through composting, and reselling it over the internet to third-party buyers. Six months ago, Trashit saw the light of day in Surjani Town in Karachi. The company collected ‘green waste’ from Sabzi Mandi (one of Karachi’s largest produce markets) and composted it to organic ingredients that can be used all over again in farming. The three members had invested in the idea out of their own pocket and through collaboration with a local NGO. The team would go from event to event to activate the idea, attending workshops on the lookout for spaces where startups were being supported, mentored, and financed. One such space that is rapidly acquiring importance is 021Disrupt, a technology and entrepreneurship conference in Karachi (021 is the telephone area code for the city) modelled after TechCrunch Disrupt, the annual conference held in San Francisco and widely considered to be the marquee event of Silicon Valley every year. The conference was held at the Movenpick Hotel on November 11 and 12 and attended by young entrepreneurs in large numbers. While the TechCrunch Disrupt conference has become a mainstay of Silicon Valley’s calendar, like most things in the tech world, it is newer than it looks: the first one was held by TechCrunch, a technology news organisation, in 2011 in San Francisco, and has since been held in many locations around the world. The non-tech world gained a greater appreciation of the conference’s place in the pantheon of Silicon Valley entrepreneurship through its depiction on the HBO show Silicon Valley. In Pakistan, the concept is a new one and is in its very nascent stages. The 021Disrupt event this month was only the second one that has taken place in the country, but it is already been seen as an important cornerstone in the efforts by a small band of dedicated professionals to create an enabling ecosystem for entrepreneurship in Pakistan. The lack of that ecosystem is an urgent need felt and echoed by participants at the conference. Like Fatima, many had not approached the event to seek funding for an expansion of their existing startups, but to pitch ideas. The common concern was not a lack of ideas, but the means for making them a reality. It was bridging that gap that the conference sought to provide, with everything from access to investors (there were venture capitalists from all over the world in attendance) to advice from successful entrepreneurs. The single biggest piece of advice for the young entrepreneurs was to seek collaboration. “We tend to be very passionate about doing things on our own. Look for collaboration and partnerships on the technology bit of your idea,” advised Samar Hasan, co-founder of Epiphany, a social enterprise and impact consulting firm. One got the impression from many of the entrepreneurs in attendance was that they felt lost and wanted guidance on how to move forward. A young man from the audience said that he had spent four years in getting a petroleum engineering degree and wondered if it was alright to forego his learning from those years and start anew. “People who think they are experts in something just because they have a degree are at the highest risk,” said Jessica Berlin, founder of CoStruct, to the young man. Others on the panel, like Moonis Rahman of Rozee.pk and Saba Gul, an entrepreneur who left Silicon Valley to work in Pakistan, gave examples from their own careers where they gave up their flourishing careers with lucrative salaries and came back to Pakistan with only ideas in hand. The very ideas of vulnerability and readiness to face failures were among the core issues being discussed. Jehan Ara of Nest i/o voiced that the first and still prevalent challenge for young people approaching her for guidance was really how to convince families in breaking the conventional employment route and letting them experiment with their own business ideas. Far from societal ideals of doctors, engineers and lawyers, even those who pursue business degrees meet with a lack of support to do something new and be proud owners of a business, she said. And then there was the issue of capital. There were a lot of references at the conference how 021Disrupt could be compared to Silicon Valley’s TechCrunch Disrupt or ‘’this is how it started in China too.” But is it really the case? Well before the investors started turning their head towards smaller markets in the United States with the likes of Miami, Chicago and Austin; Silicon Valley has been the go-to platform for start-up founders. 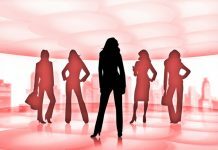 To catch the eye of venture capitalists (VCs), entrepreneurs would make their way to San Francisco or the broader Silicon Valley area (just south of San Francisco) as it was the place to be in to be noticed and sell ideas, seek mentorship and benefit from networking often leading to partnerships. To get money, in other words, you had to be as close to Sand Hill Road (Palo Alto and Menlo Park, California) as possible. In that sense, 021Disrupt did serve the purpose to some extent. While people networked and exchanged ideas, there were some tangible gains towards gaining financing at the end of the two days. Sasta Ticket, a Pakistani version of Expedia.com and Cheapflights.com earned investment from GOBI Partners, a Beijing-based venture capital firm. Several announcements for future investment were called upon. For instance, Coca-Cola invited solutions to managing plastic waste. Then there was a constant stream of feedback coming from VCs for those pitching ideas to them as the sessions advanced one after the other. Show us a prototype of your idea, what you have achieved so far, and what you plan to do. Be precise, the VCs would announce in their talks. “In Silicon Valley, you find investors approachable and more open to investing in start-ups. In Pakistan, it doesn’t seem the same way so far,” one attendee commented. Silicon Valley offers capital at all stages of the entrepreneurial cycle. Venture capital, angel investors, seed capital, exit grants, founder financing, bootstrapping; capital is available to be pumped in at different stages. Then owing to the value system that has been groomed over the years – with the US government creating encouraging economic conditions for small companies – there is greater cultural acceptability of failure with more focus on long-term gains as opposed to immediate profits. In Pakistan, while the cliché has it that there is no dearth of talent, how much of it is groomed and channelled for long-term gains? The answer is a no-brainer. The federal Planning Commission this year introduced a funding package of Rs2.3 billion for startups. Of this Rs1.1 billion is to be used for investment in companies belonging to textiles, medical and IT sectors. The 2017-18 federal budget also announced a three-year income tax break and exemption from sales tax for tech start-ups. While this is all good news, it still remains to be seen how these Rs2.3 billion will be best put to use. Will the government invest the funds with some local or foreign venture capital companies or would be directly injecting them in start-ups? This is yet to be seen under the new Pakistan Tehreek-i-Insaf (PTI) government. While reluctance is also equally present in the private sector, Faraz Khan, a social entrepreneur and founder of SEED Ventures thinks the onus is also on the startup founders to evaluate if they have become too soft in their ambitions. “Have the skills or fervour softened now by having the support of (investment) structures at every stage? Models like debt or equity funding never existed and yet there were some amazing businesses that came into existence in the past decades,” he said. 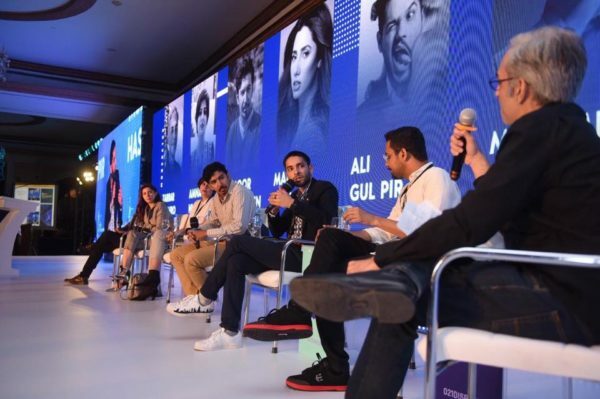 While gaining traction and capital may be the biggest challenge for start-up founders in Pakistan, what role can events like 021Disrupt offer? In comparison to last year’s 105 startups, this year about 200 startups secured one-on-one office hours slots with mentors and investors from Japan, the United Kingdom, the United States, and Germany. “It is too early to predict what came about from the discussion and networking sessions. We think there will be more collaboration in the coming months. This is only the starting point,” said Jehan Ara of Nest i/o. Startup founders were flown in by sponsors from Peshawar and Lahore to attend the event in Karachi, the commercial hub of Pakistan. Will Karachi be the platform for entrepreneurs in future? 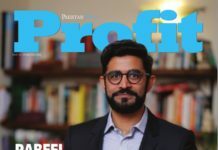 “Maybe not in the form of this annual giant event but in small, more quarterly distributed events spread through the year,” said Jehan Ara, speaking to Profit about the future of Karachi as a startup host. Apart from private entities like Nest i/o in Karachi, there doesn’t seem to be there a form of institutional support from universities, with the exception of Institute of Business Administration (IBA) and the recently inaugurated National Incubation Center at NED University, that we see in the likes of MIT and Stanford in sowing the seeds of an era of self-created businesses. And where support is present it is quite scattered. Beginning this year, PTCL announced that it will be supporting 25 startups each year by providing digital services at reduced cost at its facility in Peshawar along with mentoring and business planning. But it is worth knowing that Silicon Valley is also no longer being rendered the go-to-heaven for entrepreneurs. In TechCrunch 2018 San Francisco, there was a consensus among investors that startup-founders need not to be in Bay Area to win their chance. While reasons stemmed from rising cost of living in Northern California (46 percent of residents want to move out, according to a survey), there is a rising interest in venture capitalists in places like Boston (for automotive startups) with China attracting investors owing to their work ethics. According to Shahjahan Chaudhry of National Incubation Center (NIC) Islamabad, regulation and legislation of social enterprises have been ongoing for the past one year. “The idea is to take baby steps and see to what extent social enterprises and startups contribute in the GDP of Pakistan? We plan to present the first draft of legislation in 2019 once their contributions are demonstrated,” he said. Legislation may or may not happen when it’s due, what is more, needed from investors, startup founders and even government is to meet in the middle. “In Disrupts, the onus is on the participants as to what they really want out of these events. They are not a means to an end but as entrepreneurs, we should have a clear agenda as to what we want to seek from Disrupts,” said Fatima the co-founder of Trashit. 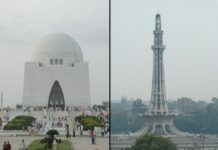 Karachi vs Lahore: Where is Pakistan’s Silicon Gali?